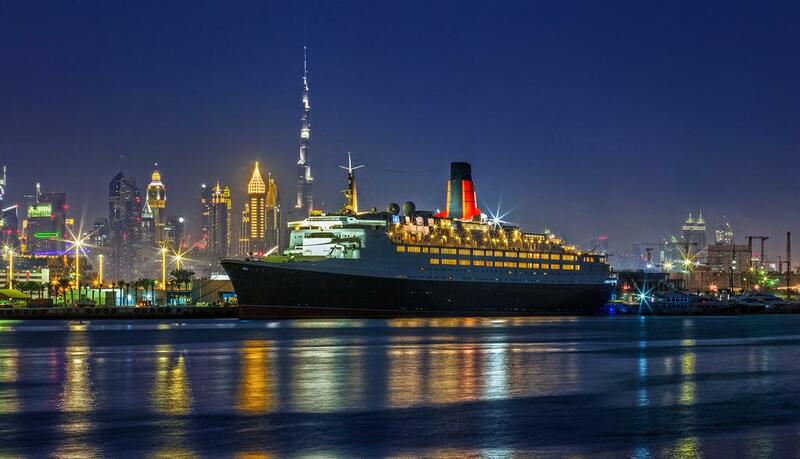 - Step inside the world?s most celebrated ocean liner afloat today - now one of Dubai?s iconic destinations. 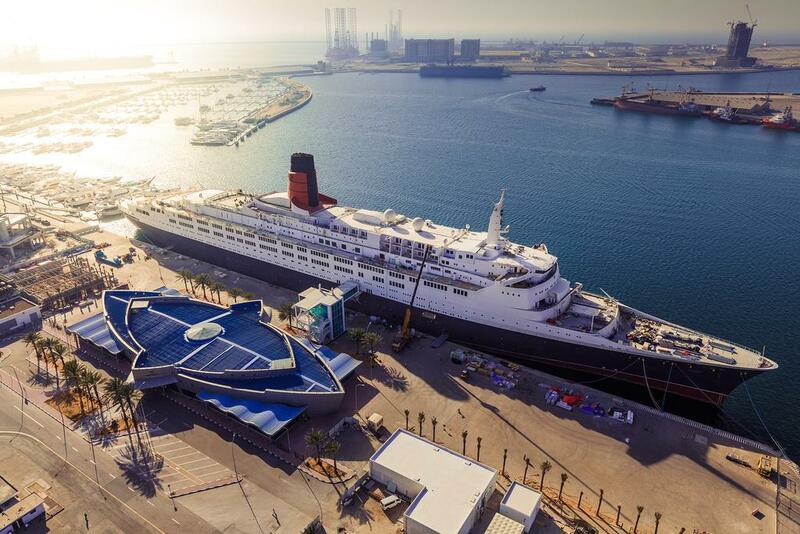 Docked permanently at the Mina Rashid marina, The Queen Elizabeth 2 is the Middle East?s first floating hotel - offering passengers a hub of culinary and nightlife experiences, a state-of-the-art events center and a heritage attractive site showcasing a rare and fascinating glimpse into maritime history. 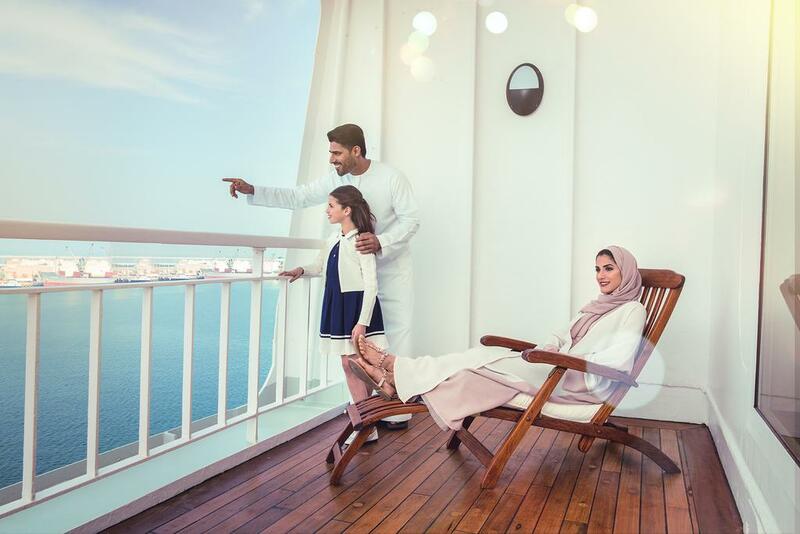 Located at Dubai?s Mina Rashid, the Queen Elizabeth 2 is in close proximity to some of Dubai?s most popular attractions including the Burj Khalifa, Dubai Mall, Dubai International Financial Centre (DIFC) and the Dubai World Trade Centre. Just a short drive by car along the coast are some of the city?s latest hotspots including La Mer, a beachfront dining destination and Box Park, an urban shopping and restaurant complex. Heritage tours are available on a daily basis. 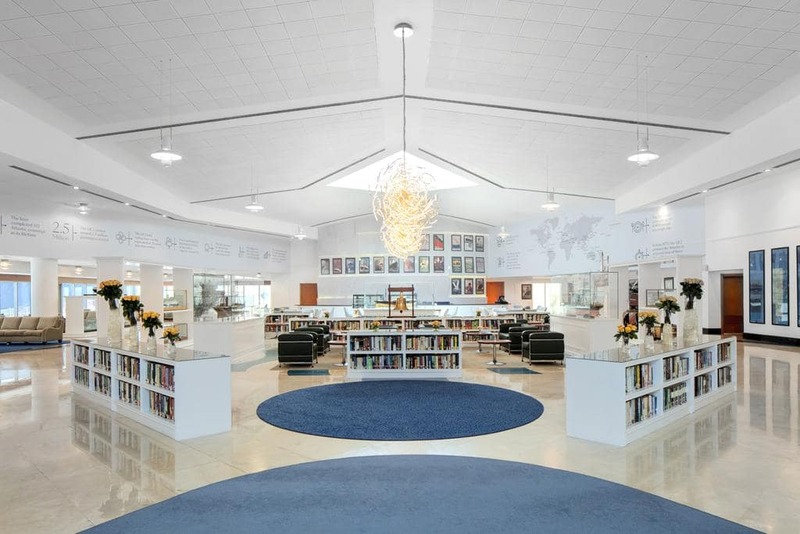 Starting at the QE2 Heritage Exhibition, this guided tour takes Passengers through the ship where they learn about the history of the ship, original rooms and artifacts and get a glimpse of the accommodation. 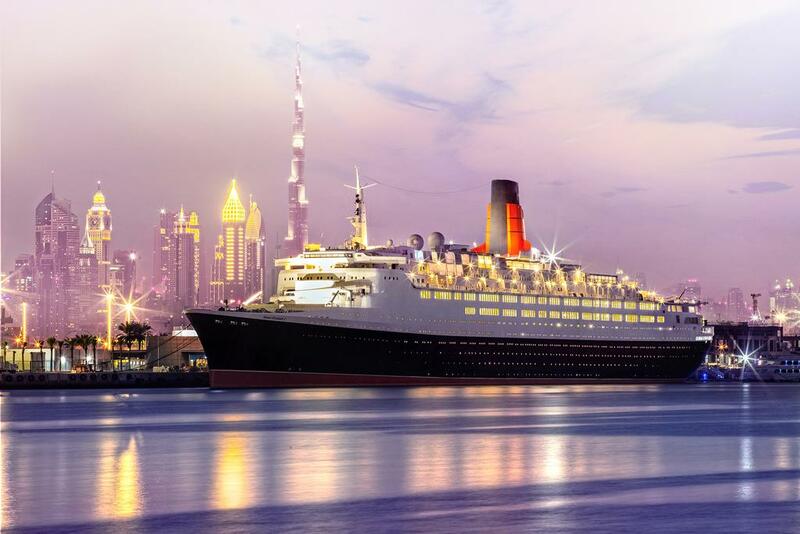 As a historical monument herself, The Queen Elizabeth 2 shares a neighborhood with some of Dubai?s other cultural gems including the Gold Souk, Dubai Creek and the Etihad Museum. - Breakfast, lunch and dinner are available at this property. 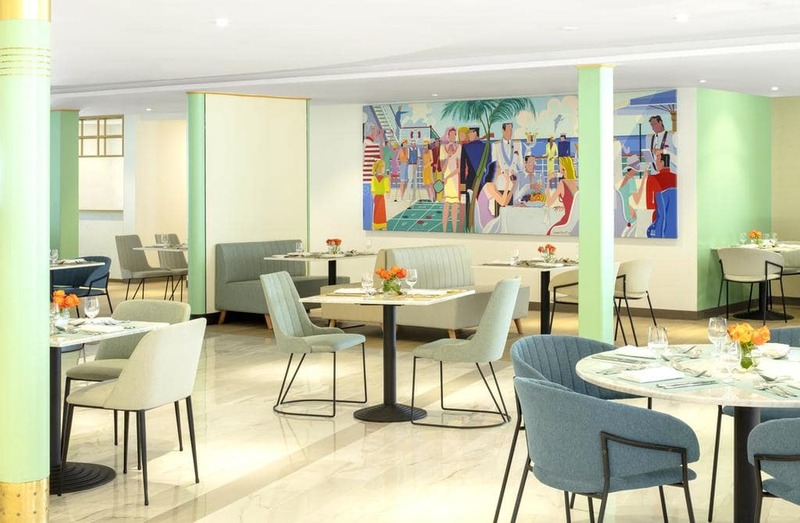 Upbeat and comfortable - Lido Restaurant will take its guests on a gastronomic expedition of cuisines near and far with an extensive buffet that will transition with the time of day. Perhaps elegant will best describe the Queens Grill. The restaurant will combine fresh and decadent seafood in an environment injected with English nostalgia from the 60s and 80s. Enjoy a vibrant collection of classic British tunes live entertainment during the week and a drinks list that will be as appealing as the menu itself. Our Yacht Club wont be the same twice in one day. Early afternoons; we will host an upscale champagne high tea with a brilliant city view. Late evenings; you will find yourself at a trendy cocktail and tapas bar. And finally in the evenings; the Yacht Club will come alight as an electrifying lounge. 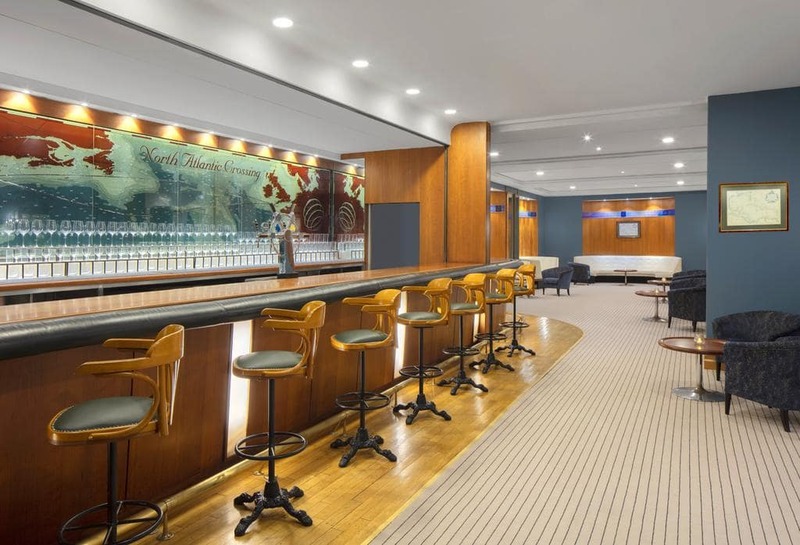 At our Yacht Club; we will bring to you the old and the new; sharing the QE2s extravagant legacy as a world-travelling cruise from the late 60s against a backdrop of contemporary music and delectable drinks. 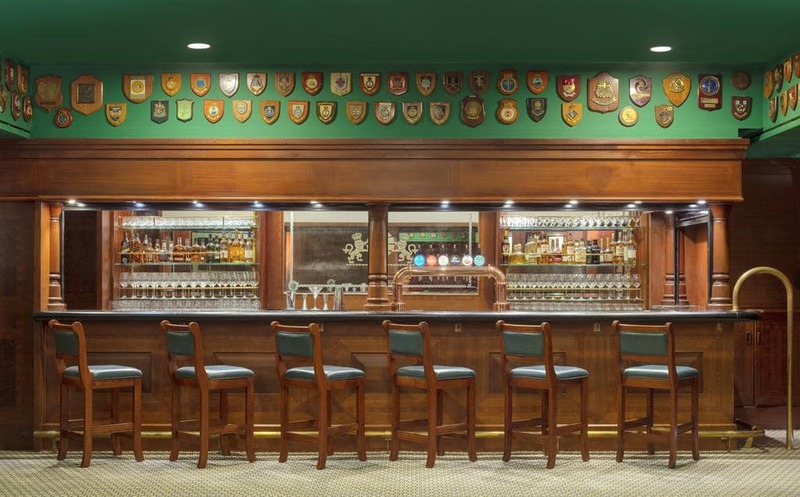 The Golden Lion Restauarant will be your traditional English pub, where you can enjoy your sports or just meet up with friends for a drink. Play darts enjoy a game of pool while in the authentic and original Golden Lion. The beverage menu will hold 6 draught beers and a wide selection of craft beers, the beverage selection will match the food which would be traditional pub grub. - This is a historic building. 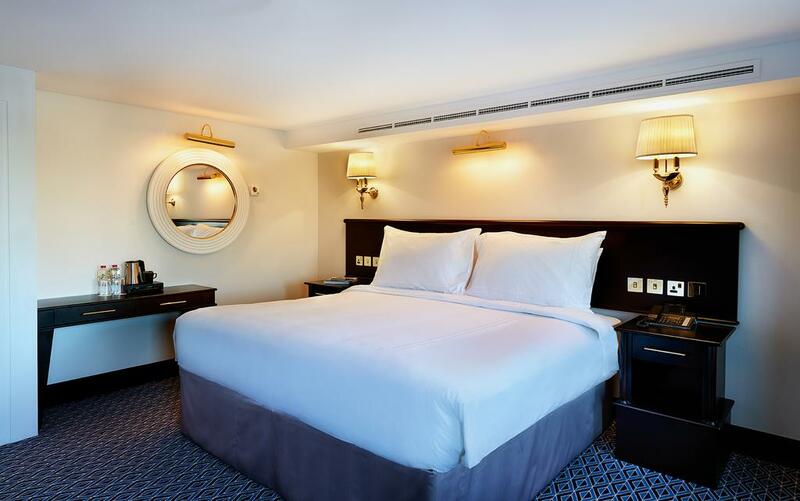 - This accommodation has a large lobby. 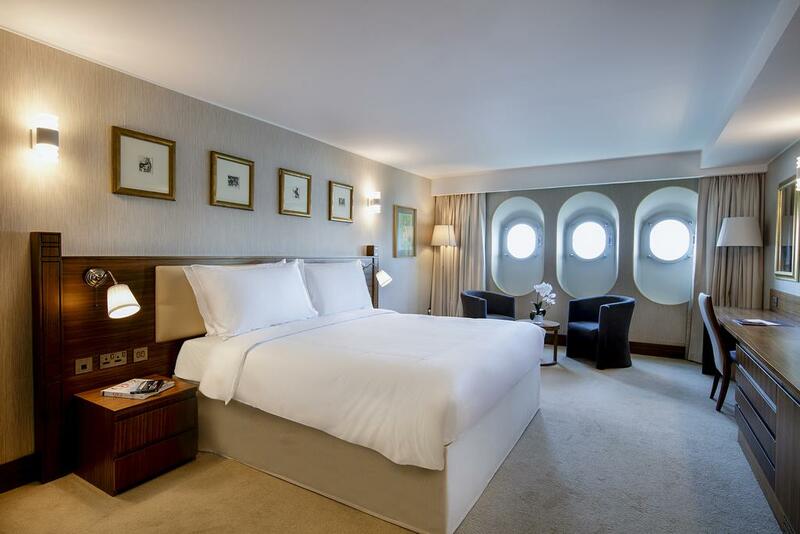 - The QE2 has 224 rooms and suites onboard each designed to immerse guests in a truly nautical experience. 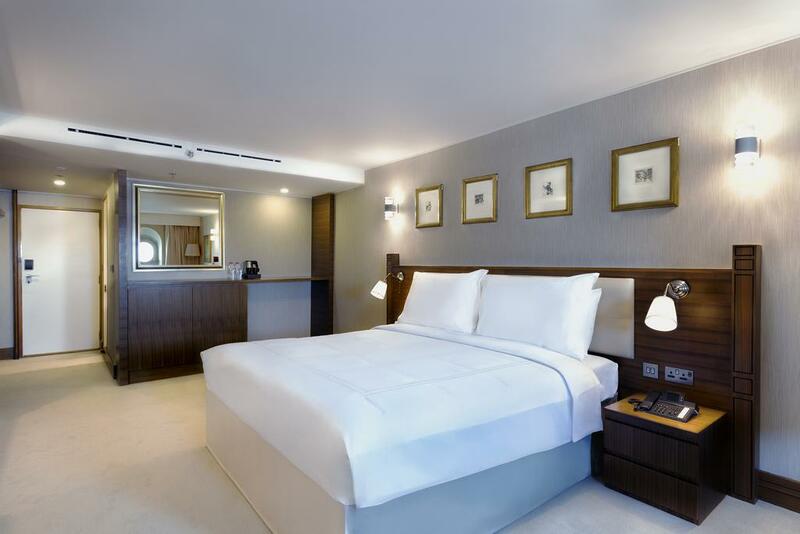 With each room type offering a choice between tranquil ocean views or soaring skylines. 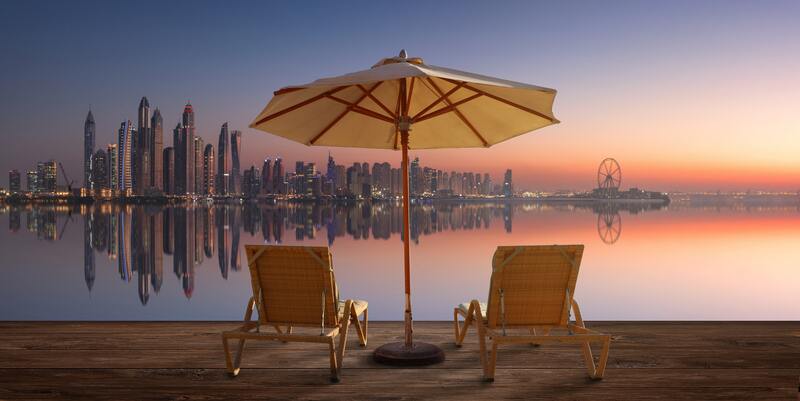 Our guests will never be deprived of an incredible backdrop to their stay. 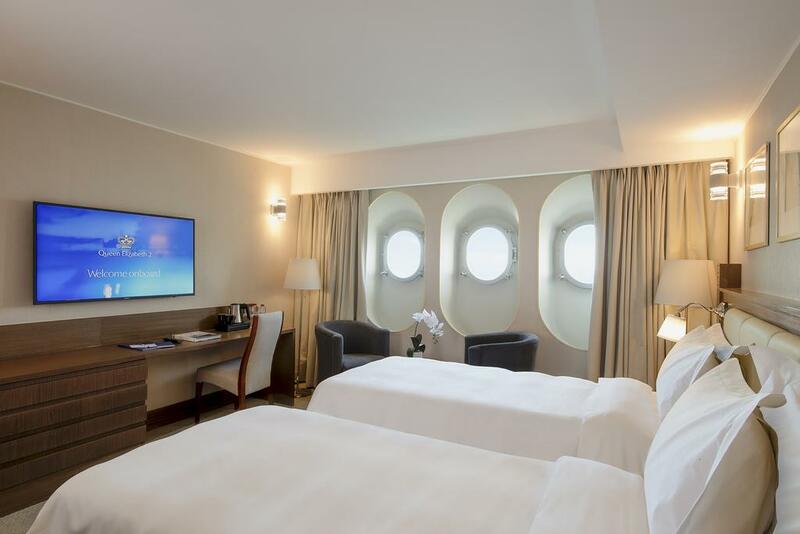 All rooms and suites offer plush twin and king bed options; brand new bathroom amenities; a 49 inch flatscreen IPTV and a range of in-room conveniences so you never miss home during your visit. - The QE2 is currently in the soft opening phase ? the grand opening will be in October 2018. Take advantage of these extraordinary rates and experience this iconic monument now located in the bustling city of Dubai.